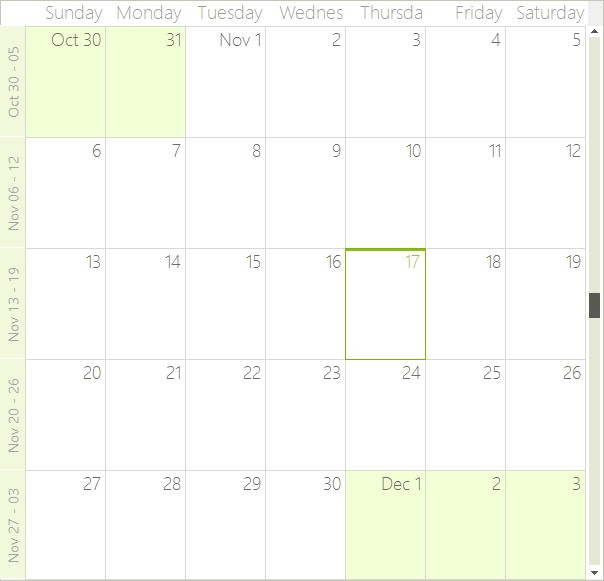 The Month view shows one month at a time, or a preset number of weeks. 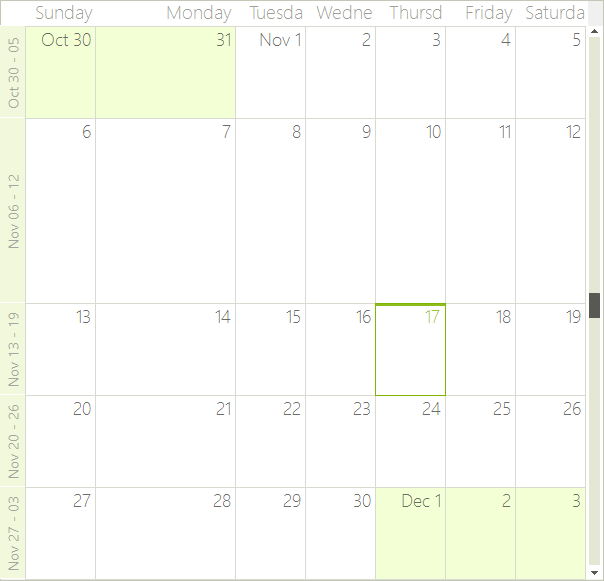 To move to the next day or previous month, you can use the back and forward keyboard arrows, or the SchedulerNavigator control. 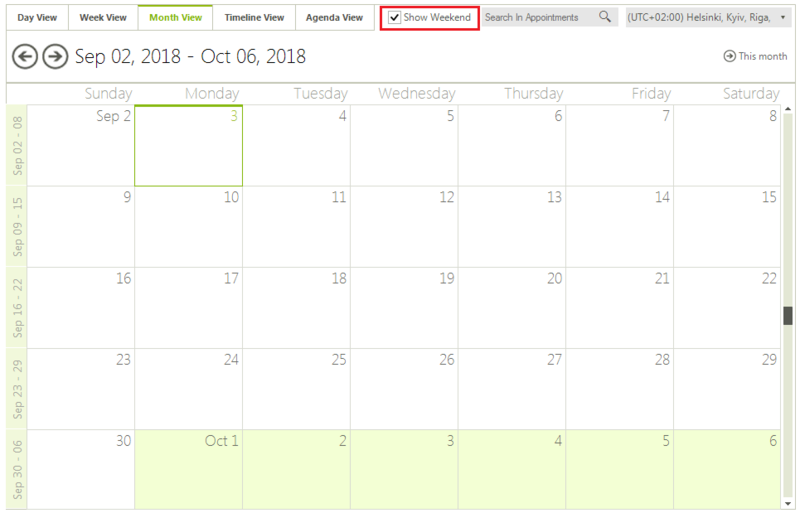 The Month View of the scheduler simply has a Header, Month Cells for every day in the month and zero or more Appointment Cells in each month cell. The work days determine the start and end days for the work week. All days outside the work days range are part of the weekend. It is possible to indicate whether the month view should always display exactly one month with the respective number of weeks. 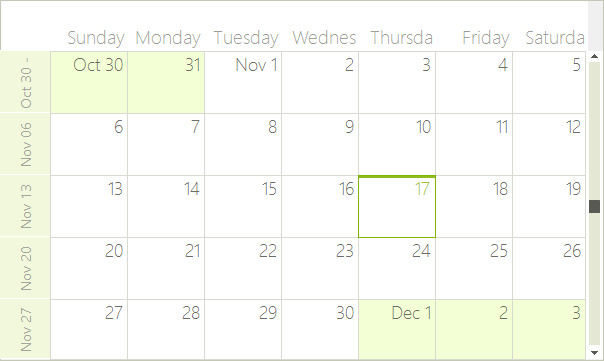 You can set the ShowFullMonth property to force the SchedulerMonthView to always display exactly one month no matter how many weeks it contains. 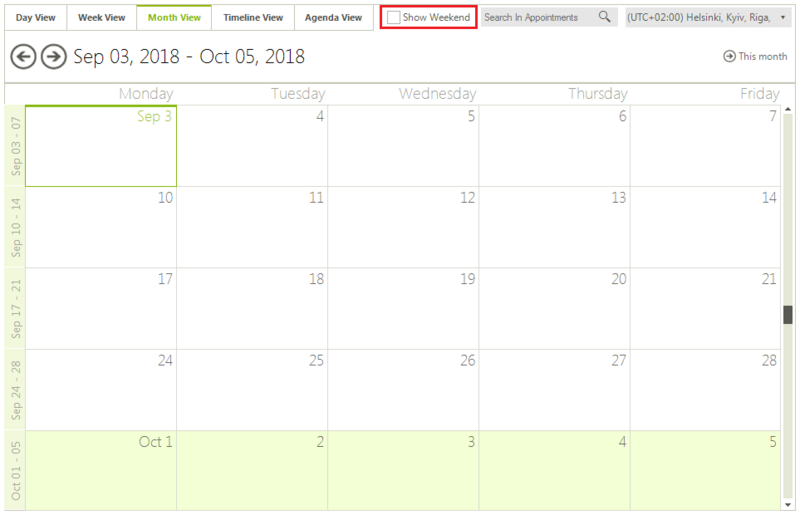 When this property is enabled, the view will always navigate to the beginning of the previous/next month and the WeekCount will automatically be updated according to the number of weeks in the target month. 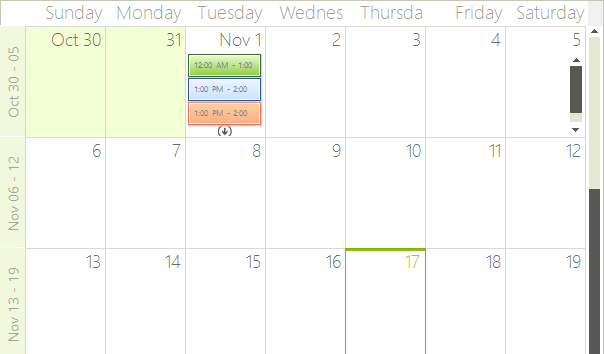 The vertical scrollbar in MonthView allows for quick navigation in large date ranges. To show or hide the vertical scrollbar you can use the ShowVerticalNavigator property. When the vertical scrollbar is displayed it can navigate through the date range defined by the RangeStartDate and RangeEndDate properties. These properties do not limit keyboard navigation outside this range but only stand for specifying the range of the vertical scrollbar. 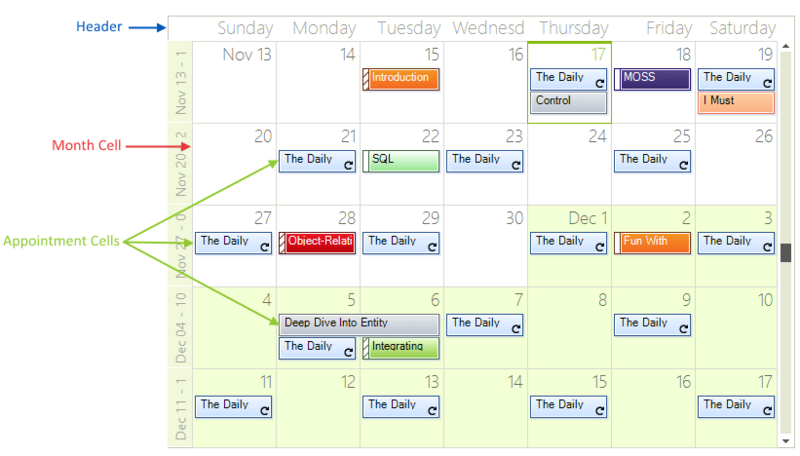 The SchedulerMonthViewElement allows you to specify different size for the different columns. To manipulate the size of the columns, you can use the SetColumnWidth, GetColumnWidth, SetRowHeight, GetRowHeight methods. The values passed to the SetColumnWidth and SetRowHeight methods are proportional and the actual width of the columns is calculated based on them. By default all columns have a value of 1 and therefore if you set a value of 2 to any column, it will stay twice as bigger compared to the others.